Prepare a 9x13" pan with non-stick spray or with parchment paper. In large pot, melt marshmallows and butter. Stir and add vanilla and rice crispies. Stir until well blended. Pour into pan and flatten surface. Allow to cool for at least an hour before cutting. Pop out from pan and cut into squares. 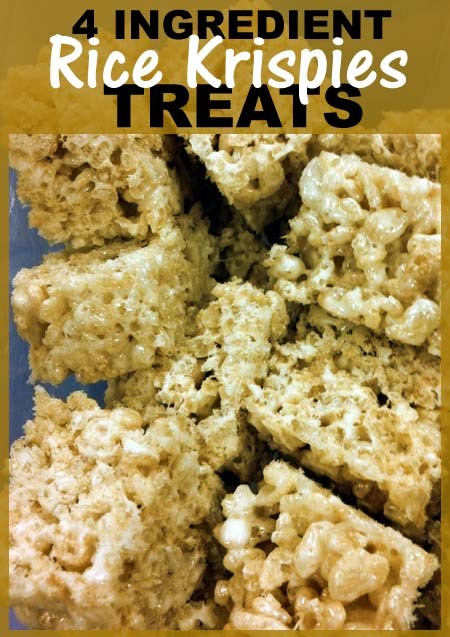 This short video is what I followed to make these delicious treats. You can also read the instructions on her website here. 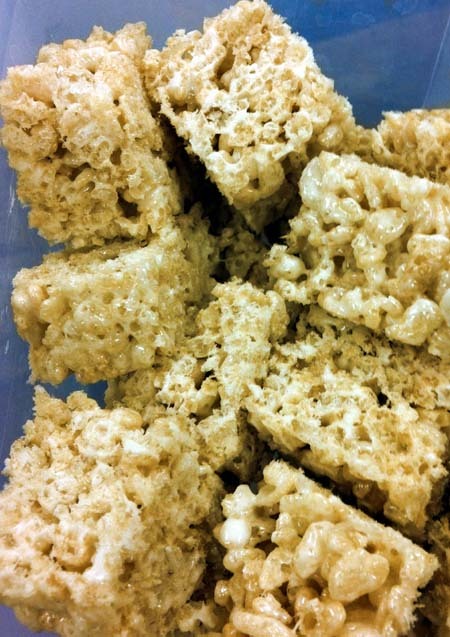 The original recipe mixes sprinkles, but I like my rice crispy treats plain. Still tastes great. Check it out!